It was quite a week of action for CWS, particularly for our risk management, safety, construction, operations, asset management, human resources, marketing, and maintenance teams. 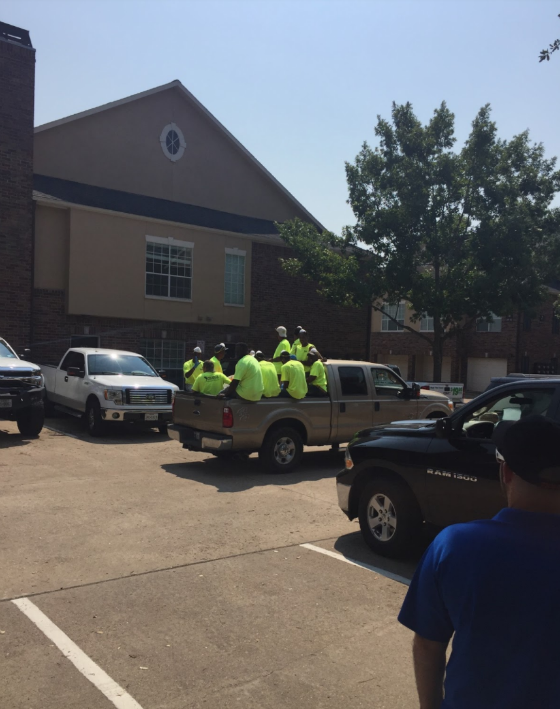 We have been having very early calls (at least for me on the west coast) every morning, including over the Labor Day weekend, to make sure we are coordinating to help our displaced residents, employees, and to get into action to begin remediation and reconstruction of our approximately 170 flooded units. These usually last for two hours and they have been very effective. The following pictures are from one of our flooded properties that held up relatively well during the torrential rains until the significant water was released from one of the reservoirs. 39 units ended up flooding. It’s amazing what a difference one week can make as, lo and behold, the cavalry arrived and got right into action to begin cleaning up and remediating the units to prepare for reconstruction. The property is now dry and the teams are working in conjunction with our outstanding insurance adjustor and building consultant hired by the adjustor to remove everything from the units, drain the water, disinfect each unit, cut out sheet rock, remove flooring and cabinets (as well as other items), and prepare the units so they can be reconstructed to become market ready. One of the immediate benefits of our highly effective planning and coordination relates to another of our properties which had 50 ground floor units flooded. After approximately one week all of them have now been remediated and are ready for reconstruction. We are left with one more property that only now we are able to gain access to. Hopefully this week we will be able to make great progress in terms of beginning the remediation and rebuilding process. This third property also flooded due to water being released from the reservoir. Russell Wilson has said that “[t]he separation is in the preparation” and Hurricane Harvey proved this from a CWS perspective. We have invested a lot into our safety and risk management programs as well as cultivating strong relationships with our insurance carriers. This has been spearheaded by our incredible insurance brokers at Epic. Our head of risk management and our CFO have been going to London the last few years with Epic to meet with and cultivate relationships with incumbent and prospective insurance carriers and to tell them about how seriously we take safety and risk management. We communicate in great detail about the systems, processes, and resources we have developed and invested into ensuring that the probability of adverse events is greatly reduced and when they do occur we will be on top of them immediately so that the cost to the carriers can be minimized. 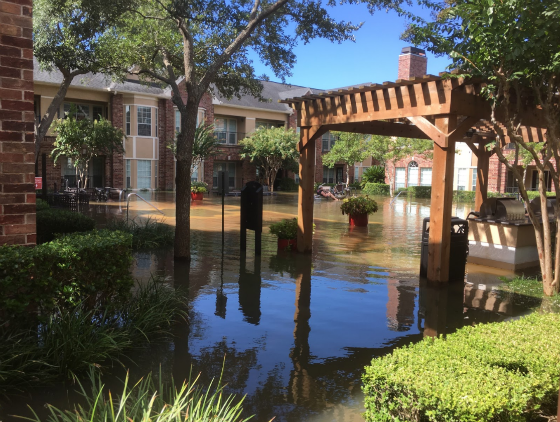 We have proven to them that CWS is one of the best risks to underwrite in the apartment industry and Hurricane Harvey will reinforce this for them yet again when we meet with the carriers in London in late October. Risk management comes down to frequency and severity. Every adverse event in life and in the world of investing can be categorized by how frequently it occurs and when it does occur, how severe it will be. Of course, these are estimates and subject to wide variation but we all have to place our bets and use the best data we have available. Naturally, insurance companies have access to a wealth of data so they are able to come up with various models to help them price risk. This is one of the great secrets of Warren Buffett’s success. He is a master at pricing risk and this expertise has been honed over the years from ownership of so many insurance companies covering virtually all aspects of insuring risks. He has parlayed this ability to look at the world through the lens of risk and reward and frequency and severity to help him make outstanding buy and sell decisions in the stock market and when purchasing private businesses. He thinks about what can go wrong in great depth and when he feels like he is not being compensated for the risk, he passes or sells and when he feels that the risk is mispriced (too much pessimism), he buys aggressively. 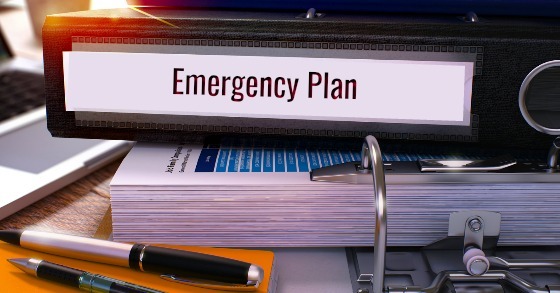 While we have been well prepared for those frequent events that can be severe as well as those that are not catastrophic, no one could have been completely prepared for an event like Harvey.This falls into the category of extremely severe and very infrequent. It is so infrequent that some consider it a once in a 1,000-year storm. 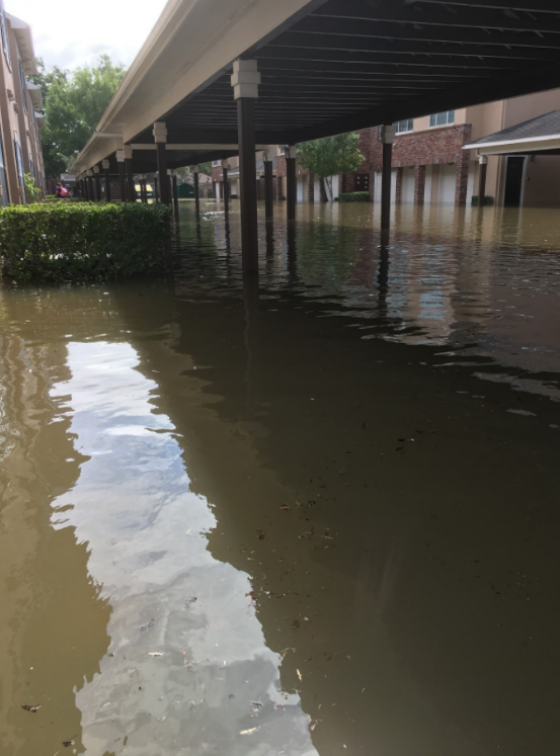 Although Houston is clearly prone to flooding and our teams were well prepared with regard to managing a situation with heavy water, no one really could be completely prepared for such a catastrophic situation as we experienced with hurricane Harvey. Nevertheless, I am so proud of how quickly we mobilized and responded. All of our residents and employees were safe and our property damage could have been far worse. Our insurance brokers have constantly said that we are best in class in terms of our risk management safety program and I think our preparation for and response to the situation in Houston prove that. This week we will be releasing more of our apartment inventory to the public as most of our vacant units have been kept offline to ensure that our residents would have places to move to as well as our displaced employees. It will be interesting to see the type of leasing velocity we experience now that our inventory will be available to the public. One project we’re involved in was open for leasing and they had quite a week after the storm ended and people could look for housing.This gives us some indication that demand for apartments should be robust and should continue to be the case as people look for housing who have been displaced and have been living with others, in hotels, or remaining in their homes that will need significant repairs. ‹ Houston – We Have A Problem! Congratulations to the entire team for both the rigorous planning and preparation and for the execution after the events. Well done!